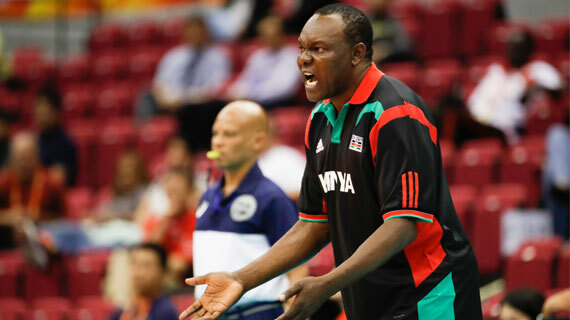 Malkia Strikers coach Japheth Munala has challenged his girls to work on their errors and show an improved performance when they face giants Brazil in their fourth match of the FIVB World Championship on Wednesday. The Kenyan girls showed promise against Puerto Rico on Monday running them close and had a chance to win the game especially with a good lead in the first set, but a series of errors saw them lose out on the opportunity of a second victory at the World showpiece. Malkia started off with a huge 3-0 win over Kazakhstan, their first ever at the World Championship, but failed to maintain the momentum losing to Serbia on Sunday. A win against Puerto Rico on Monday would have guaranteed them a spot in the second round. “Our aim today was to qualify for the second round but Puerto Rico stopped us. We still have two games left. We will try to grow in the coming matches. We led 19-15 in the second set but did not receive well after that. We must get ready for Brazil next. We will go all out against them,” Munala said after the match. Skipper Mercy Moim who once again top-scored for Kenya with 14 points admitted they should have won the match but were let down by a series of errors. “We did not play well today. We did not play as we had planned. We played better against them than the last time we met. We will look forward to the next matches,” Moim noted.